My room for the night next to the helipad. Because of the mountainous terrain it is very difficult or even impossible for people in some of the villages to reach a medical clinic. Instead, we bring the clinic to them. For this mission I shuttled government health workers to different villages to give immunizations. At the time, there was a big drought and smoke from land clearing burns in the south had caused a lot of disruptions to my flight route. By the time we reached the last drop off point clouds mixed with smoke made a return flight impossible. 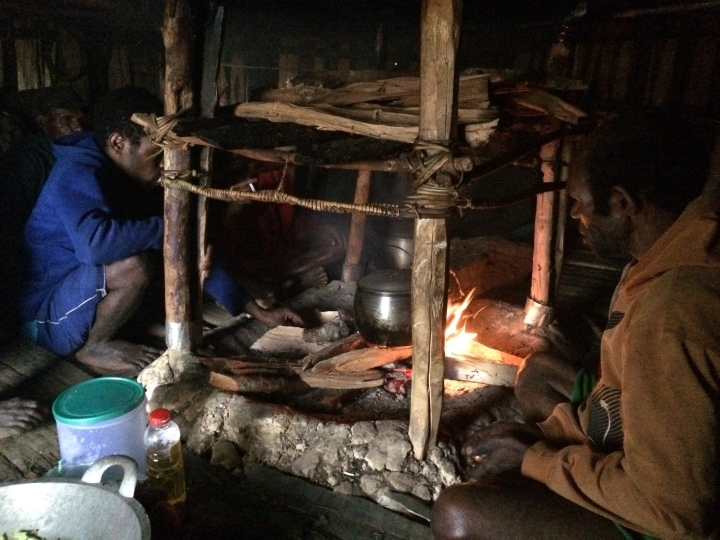 I ended up staying with the medical team while they conducted the clinic and spent the night in a honai (traditional hut) along with all the men, sleeping around a fire. I was served a yummy meal of rice, egg, and pear squash cooked over a fire. After the men talked late into the night, the pastor shared a bible story and we went to sleep. This was my first experience sleeping in a honai, I wasn’t used to giving up my soft bed for a hard floor! The next morning I was able to use the sat phone to get a weather report from Anisha and make it back to Wamena. 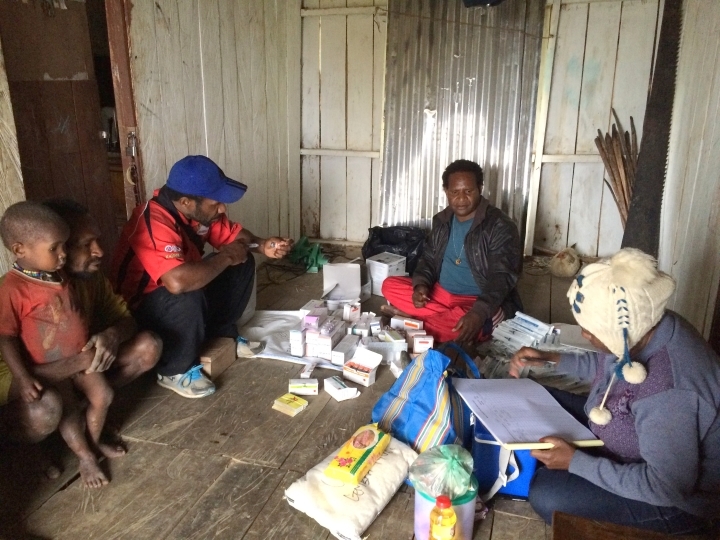 Health workers meeting with the village patients. Cooking the dinner and heating water on the fire, also our central heating at night. At 6600ft it gets cold up here in the mountains. My "bed" for the night was on the other side of the fire. Enjoying lunch in the back garden. In May/June we received news that Granddad England (Ben’s dad, John) suffered a minor heart attack and was in the hospital. It’s quite shocking to be far away and receive such news. With the blessing of Helimission leadership we headed back to the UK to support and spend time with family. While Joyce (Ben’s mum) knew we were coming, John did not and we enjoyed surprising him in the hospital! Lots of jokes ensued over the wisdom of surprising a heart attack patient, but he survived! After several more weeks in the hospital, then open heart surgery, and a couple more hospital weeks, John was sent home to begin recovery. The surgery was a success and John is back to walking, cycling, and even swimming again. In all we were home in the UK for 2 months and so glad to be able to be there. Isaiah is in Kindergarten/Year 1! Four days a week Anisha home schools Isaiah and he joins a sports co-op on Tuesday afternoons and a Kindergarten co-op on Wednesday mornings. Although we originally planned to continue home schooling through elementary school, Isaiah very much wishes to attend the international school and we plan to enrol him next year. He is such an extrovert and very socially motivated. A big praise is that recently Indonesian children Isaiah’s age have moved into our neighbourhood! They all spend most afternoons outside together running up and down our street playing tag and riding bikes. Our team is currently made up of 5 nationalities. When we first joined the team here in Wamena there were two pilots and two mechanics working with the helicopters. Now we have 6 pilots and 5 mechanics. As you can imagine big changes happen when a team grows and we are learning to adjust and find our places. Tom, our original Base Manager and Chief Pilot, will retire in December after almost 20 years in Papua. Ben will help with maintaining flight status of the pilots, which primarily involves looking after pilot training for our bases in Indonesia. Our colleagues, the Weber family, will start a new base serving the more north western part of the island. And our colleagues the Sigrists are expecting a new baby! We're adopting from which country? About this time last year we told you we started the adoption process again, this time for a 0-2 year old baby girl. With a lot of excitement we considered different countries and had settled on Uganda. Unfortunately, the country then shut down all international adoptions and we were left back at square one trying to determine where in the world this little girl of ours is! We finally settled on China and are finishing up the home study. We hope to submit the China dossier from the UK in the Spring, be matched with a child, and Autumn/Winter next year go pick up our girl! Please pray the paperwork goes smoothly. We’ll need to apply for grants as well so prayers for that process. 4 aeroplanes and 22 hours in the air and we will be back. We’ll plan to do a bit of travelling around and let you know more once we have firm plans as we’d love to see you before we return to Wamena in September! 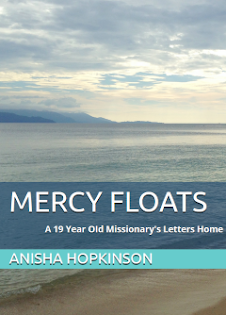 You can help us bring spiritual and social help to some of the world's most remote people. For information on how to give click the box below.